RHA members pose for a photo after the meeting. Laundry costs, parking problems and safety were among topics discussed Wednesday at this semester’s first meeting of the Residential Hall Association. The association was created to bring concerns affecting residents to the administration. Attendees discussed several ways to change the way students pay to clean laundry. They include: laundry paid for by the room and board fee or paid for with dining dollars. Some liked the idea and said it would keep students on campus on weekends, but others argued it would be unfair to some students. “My average of laundry could be different from your average of laundry, but we’re going to pay the same amount, so it would be beneficial for those who would do a lot of laundry, but it would hinder those who don’t do as much,” said RHA president Maddie Palmer, who represents women’s housing, after the meeting. Representatives from old campus dorms complained about the lack of laundry options on the heritage side, which causes some students to have to take their laundry all the way to Evans. Others complained about bad laundry units, which had to be run twice to wash or dry a load of clothes. Nick Stone, who lives in the Linden Lodge, said the laundry rooms there are poorly ventilated and smelly. Students also raised other concerns about maintenance in the Linden Lodge. Daniel Bohn, a student who attended the meeting, suggested the idea of community kitchens in residence halls, which Shane Williamson, dean of students, said are “on the table” for future housing changes. Bohn also mentioned a roach problem in Parker Hall. Palmer said she believes dorm sanitation is the most immediate issue for RHA. The assembly also discussed designating parking spots to residents of certain halls as a way to ease the problem on the heritage side of campus. They also talked about adding crosswalks, speed bumps and other ways to improve road safety, as well as gates around campus to limit access. RHA seeks suggestions from residents at meetings, through dorm representatives and through the suggestion boxes in the dorm halls. Student proposals will be voted on by RHA at a later date. The next general assembly meeting is at 6:30 p.m. on Nov. 1 in Parker Hall. 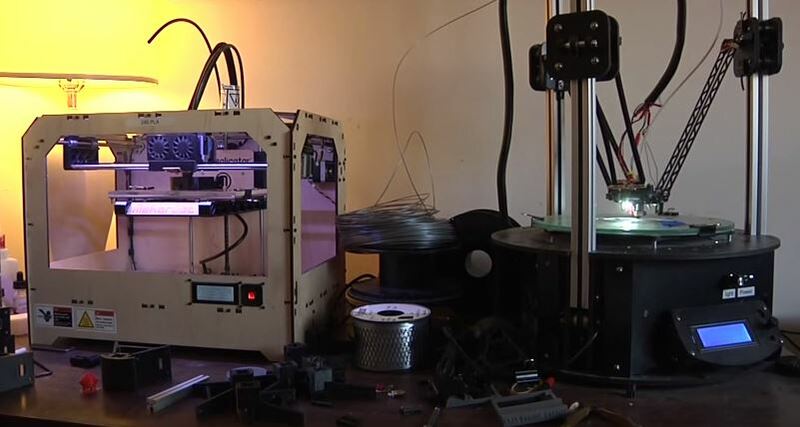 3D printing gains prominence in the U.S. Published March 20, 2015; 1 p.m.